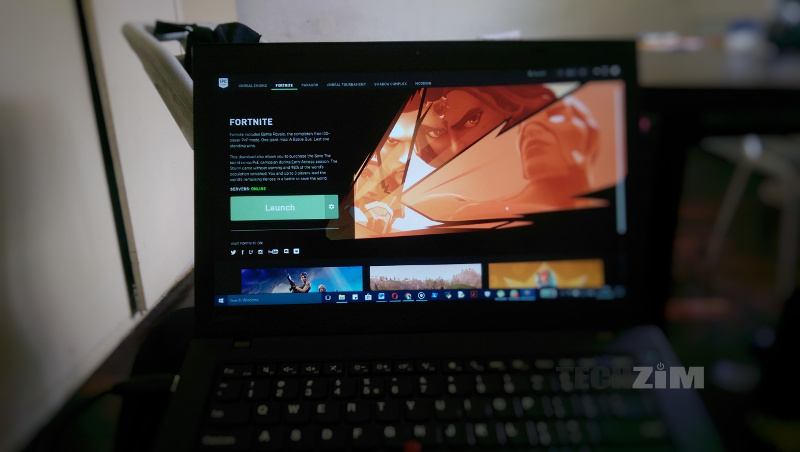 Home » Gaming » I’ve Been Playing Fortnite For The Past Few Weeks: It’s Amazing! I’ve Been Playing Fortnite For The Past Few Weeks: It’s Amazing! You may have heard of the online multiplayer game Fortnite that has been making waves over the past couple of months. I play video games quite often but most of my experiences with gaming have been offline and the rare times I have been online it has been on mobile games so the experience was not really enjoyable. Fortnite changed all of that! What is this Fortnite about? Fortnite is an online shooter and its claim to fame has been through the Battle Royale mode. In this mode, 100 players are dropped onto an island and the last man standing on the island is the winner. It sounds simple enough and not really compelling but once you drop in with a friend you will get hooked pretty quickly. A few weeks ago, one of my friends told me he had been playing it and because he has a Macbook Pro with specs similar to my computer, I thought I might as well try it out and see if all the hype was worth it and thus far, the experience I’ve had is great. So, I downloaded the game (a mere 8GB and its FREE) and the setup was a breeze. A few minutes after installation I had paired up with my friend and we were blasting away. Granted, my friend and I are quite terrible, we have been dying a lot and our team has not been able to win since we started playing. Our best finish thus far has been a third-place finish but it wasn’t necessarily because we are skilled but more because we were just lucky. If you are interested in gaming, I would highly recommend that you check this game out. Playing alone will be ok but if you can get to play with someone you know or at least someone in Zim will change that whole experience. My friend and I have played with guys from other parts of the world as well and that’s been a great experience. There’s a kid from Italy called Lorenzo who we’ve played with a couple of times and he’s provided us with some comic relief. The kid barely speaks English, but he keeps joining our team even though he doesn’t understand us at all. Even when we speak in Shona throughout sessions he’s just there waiting for battle. This kid is the true definition of a loyal soldier. Ok, the biggest concern you probably have is how much data does the game consume? Well, over the past 3 weeks I’ve managed to squeeze in over 10 hours playing the game and I’ve only used 561MB. I’m not sure how that looks from where you are standing but from here that looks like a reasonable amount of data. If you’re already playing Fortnite you can send me a request. My ID is FariM9 and who knows, if I get time we might just get in a match as one team. If you want to download Fortnite you can do so here. A few of the guys at Techzim have also been playing PlayerUnknown Battlegrounds (AKA, PUBG) on mobile and they have been having a blast. PUBG has the same concept as Fortnite and the added benefit is that you get to play it on mobile as well. You can download that here. hey man, whats the link to download? but i feel like PUBG is the ultimate battle royale..
pubg mobile needs a review too..